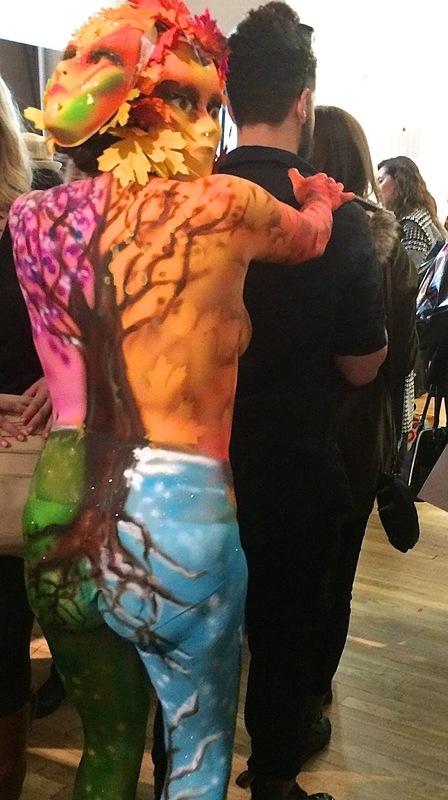 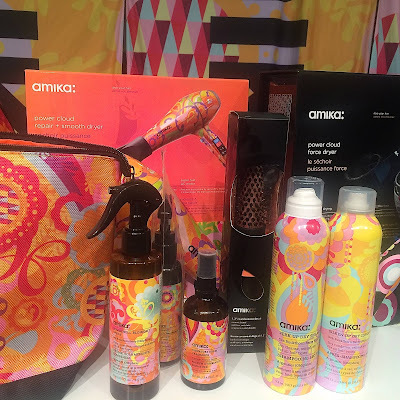 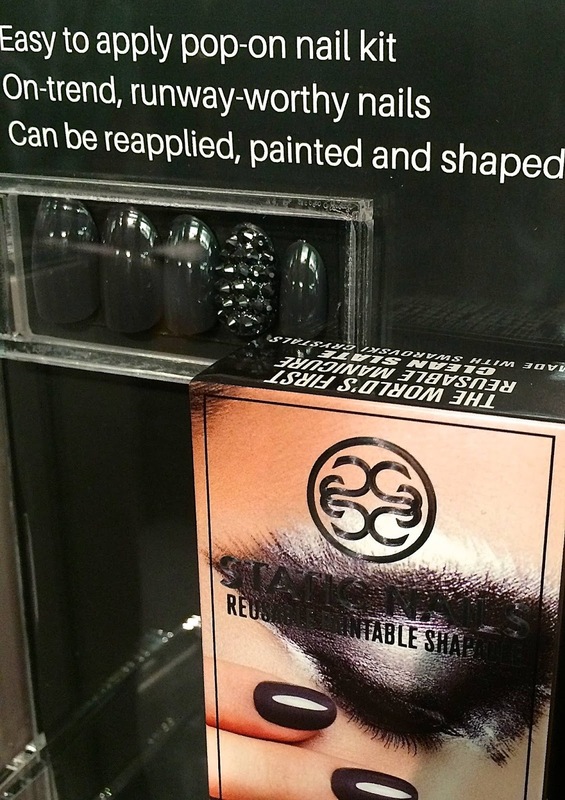 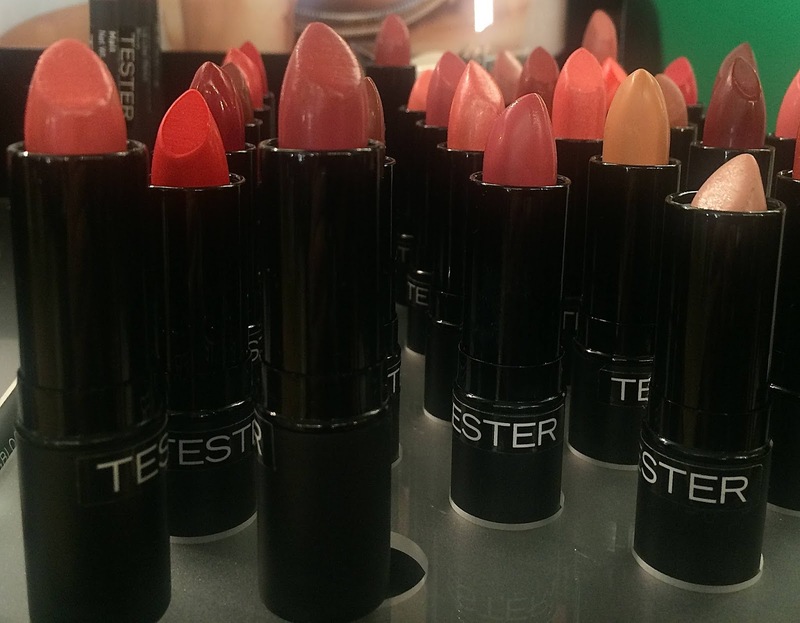 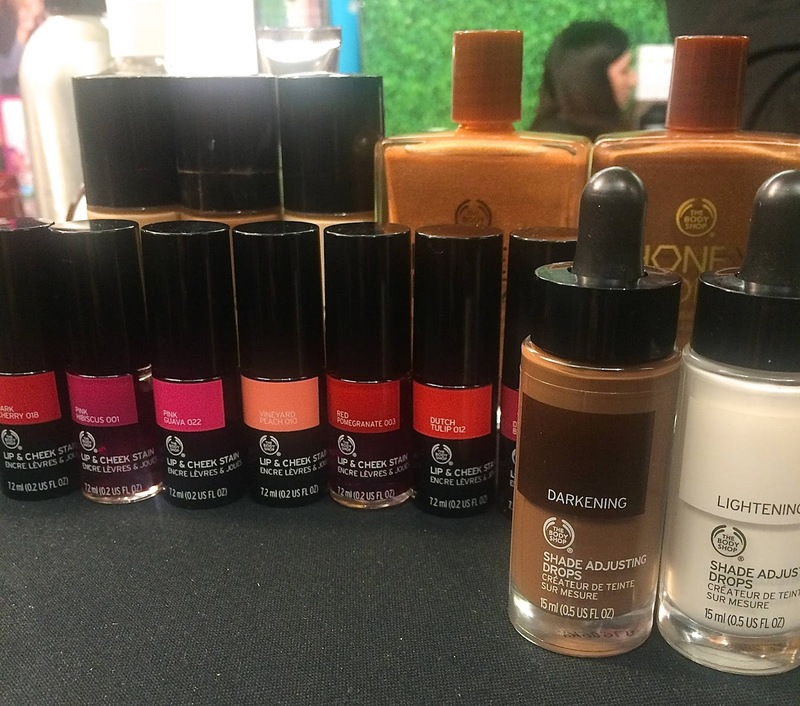 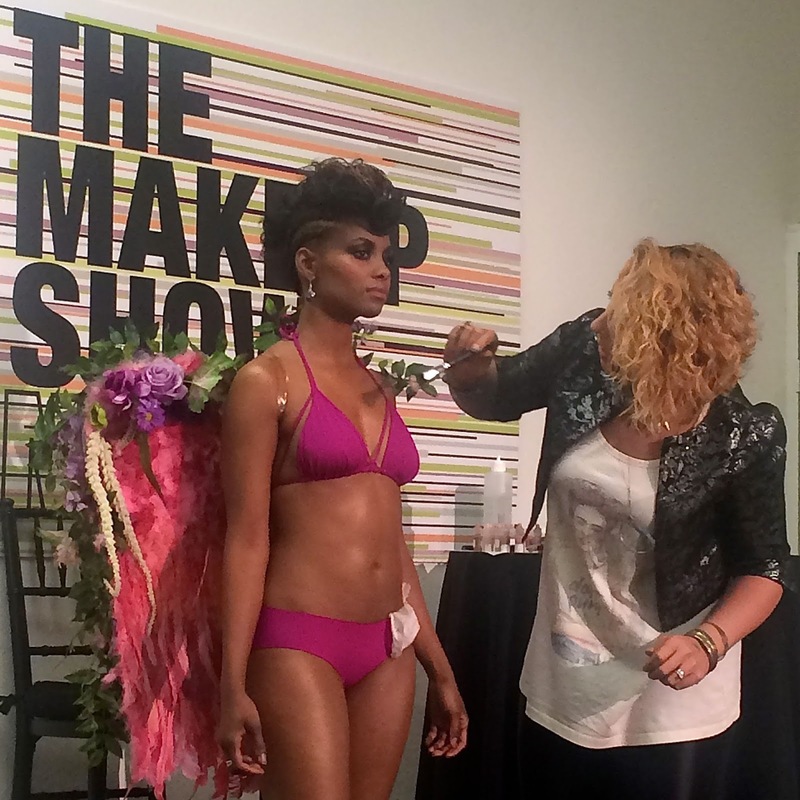 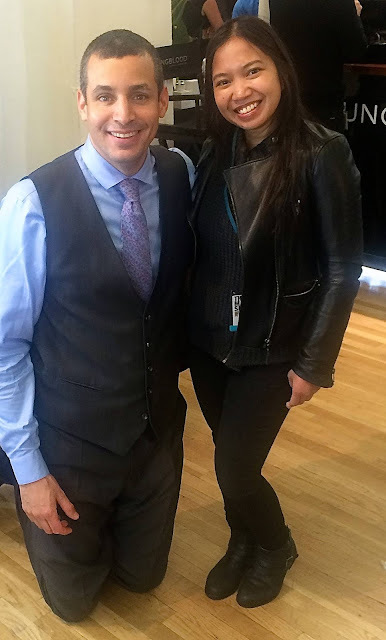 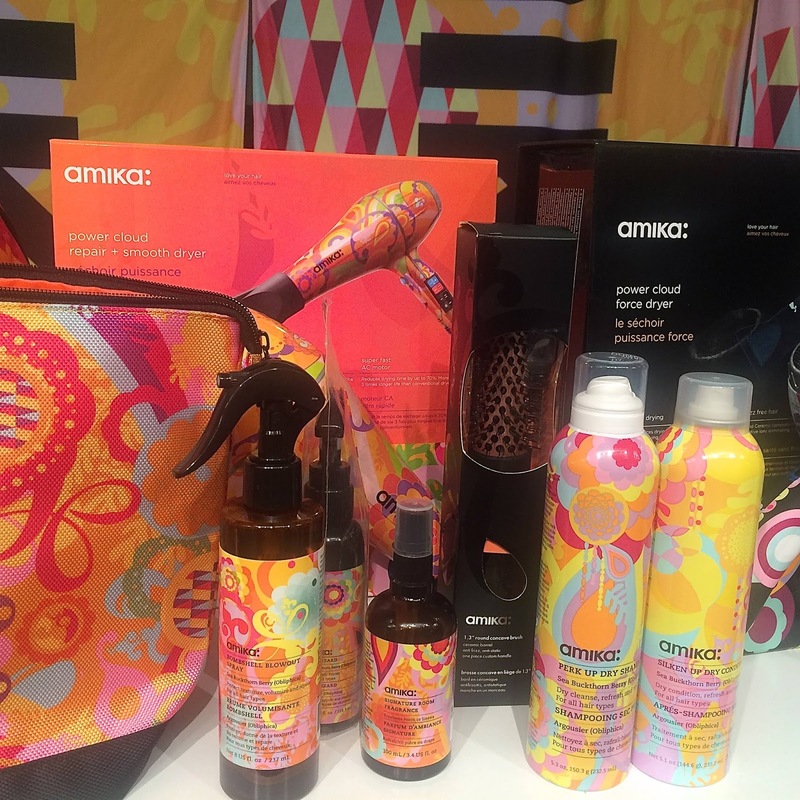 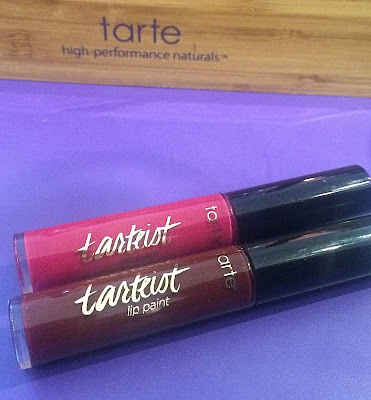 The Makeup Show NYC took place on May 1st and May 2nd, at the Metropolitan Pavilion. Here's a look at my favorite highlights from the show, including new makeup launches and brands I was introduced to. 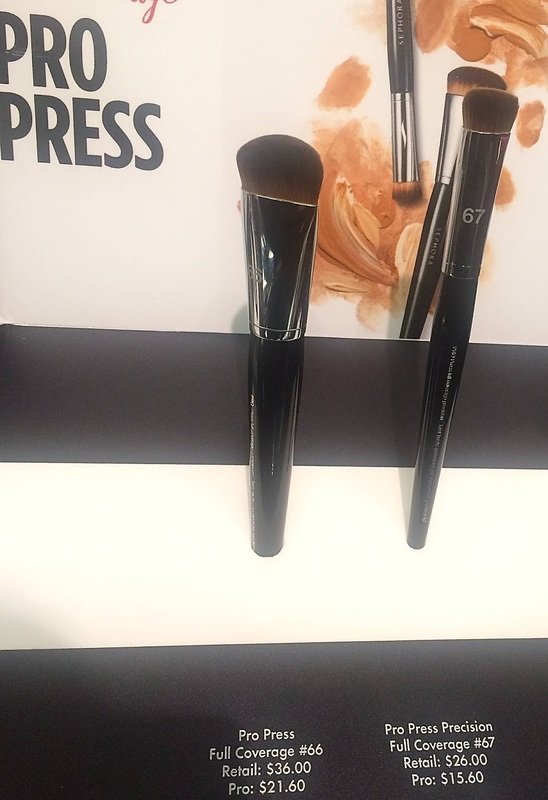 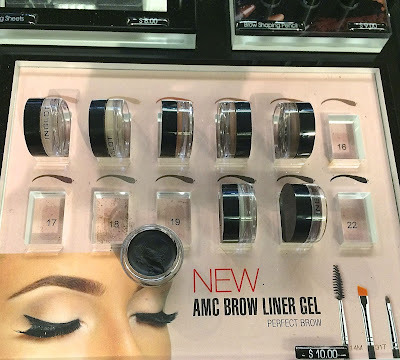 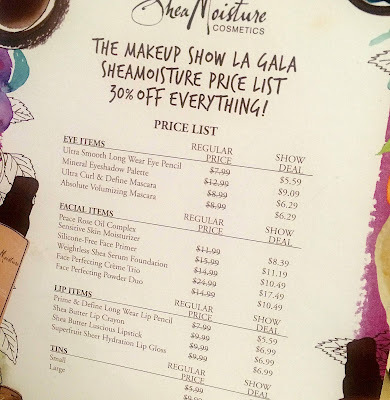 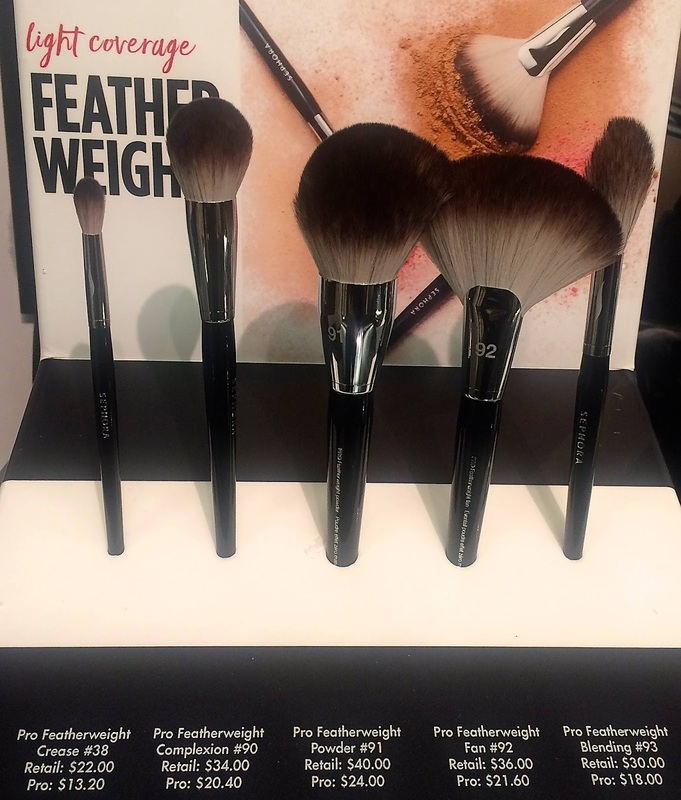 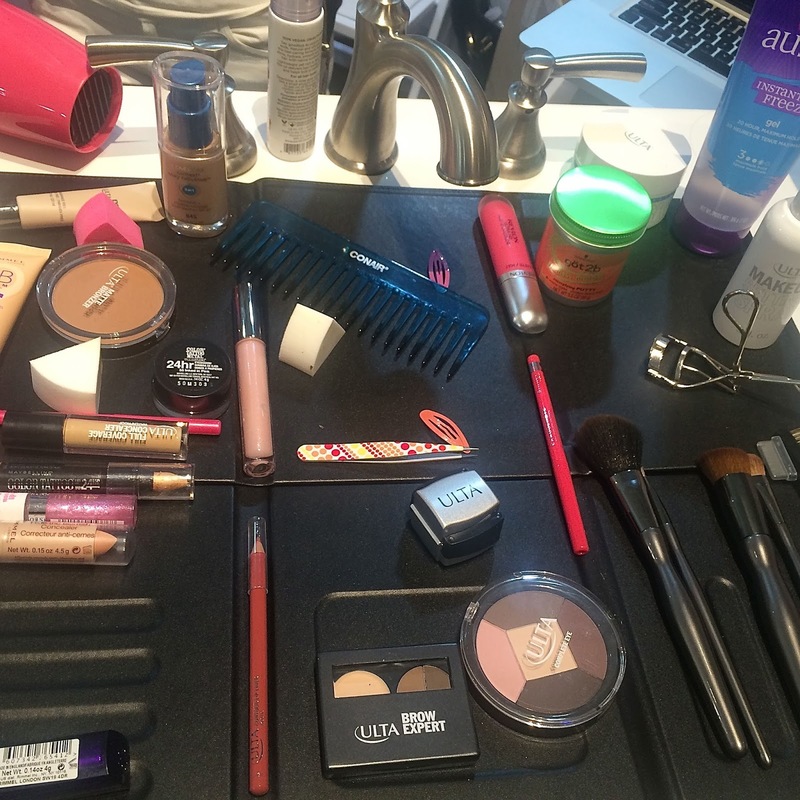 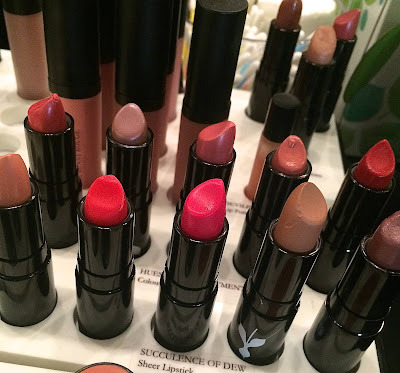 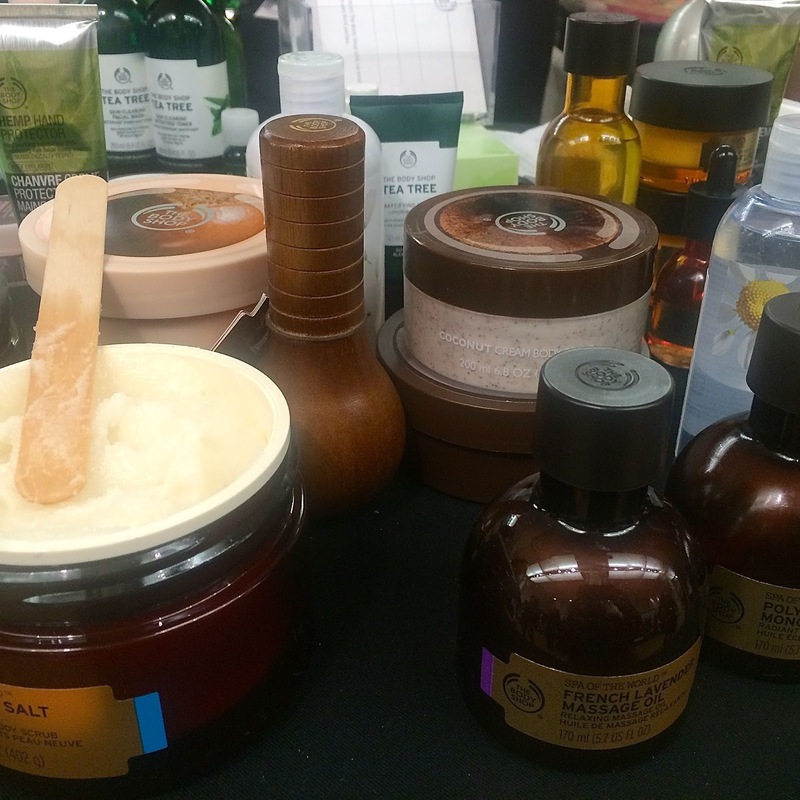 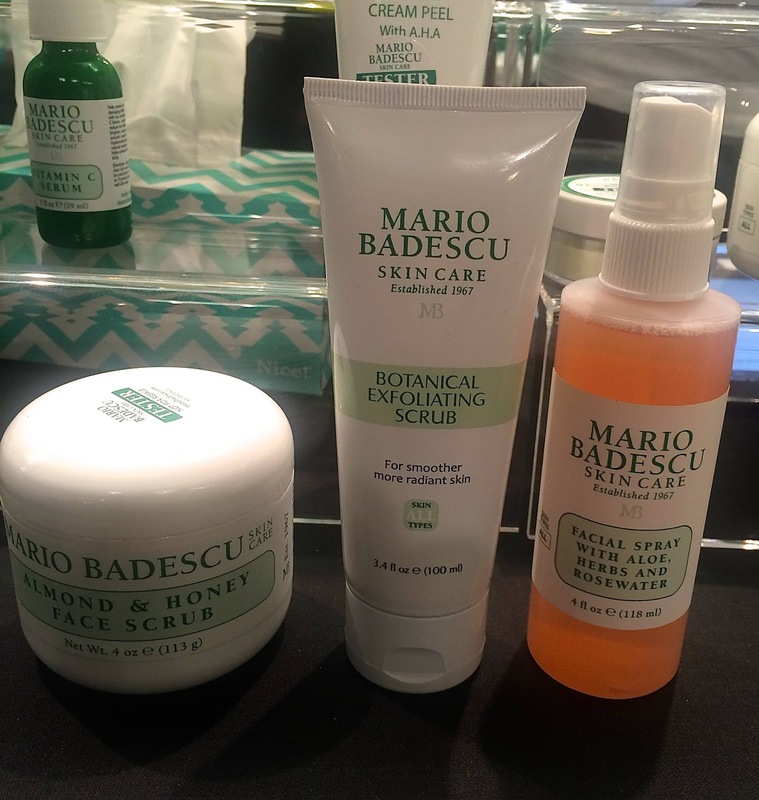 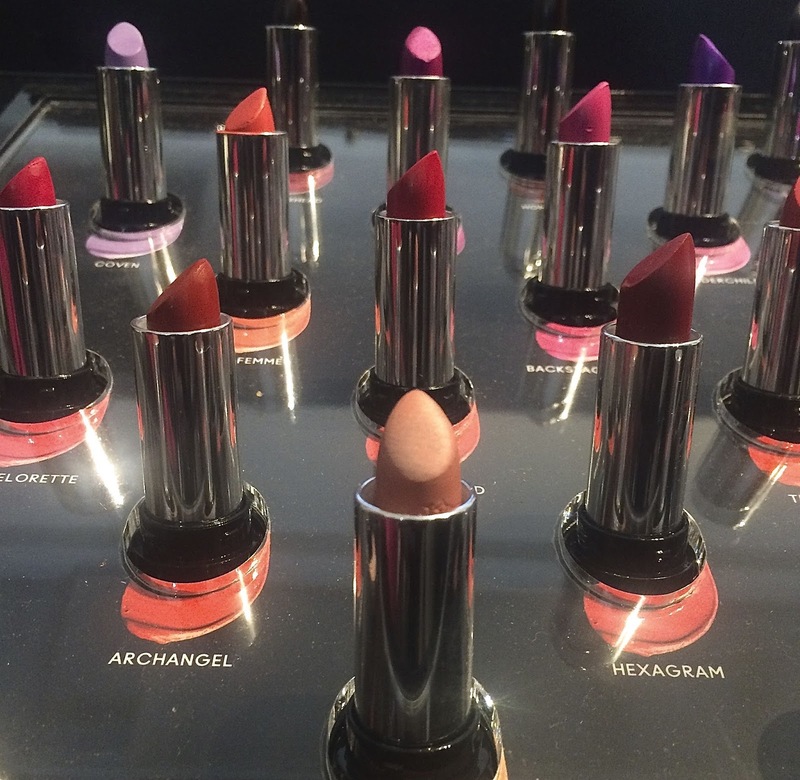 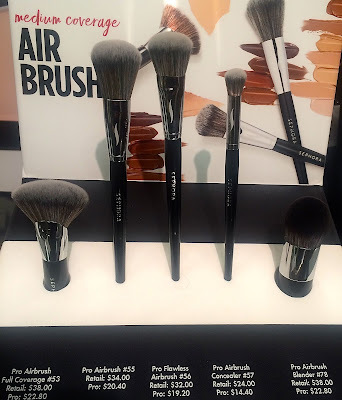 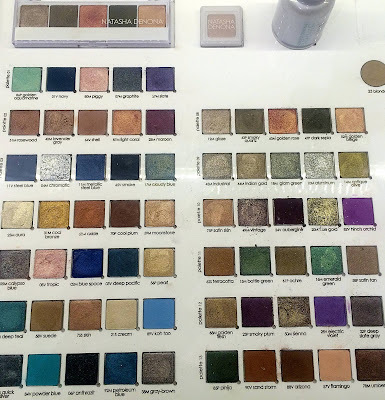 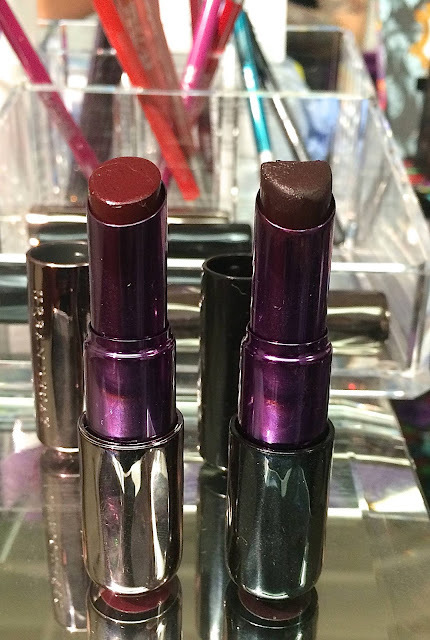 Check out my recap from The Makeup Show NYC press preview here, with the latest must-have products. 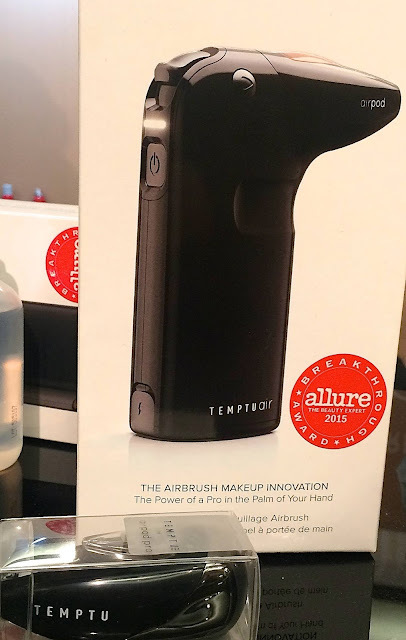 One of my favorites from the show is the TEMPTU Air, a cordless, handheld airbrush device, featuring Dani Fonseca for TEMPTU PRO for a TEMPTU PROpod: Redefine Airbrush seminar. 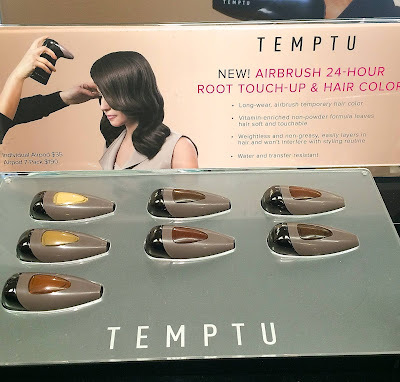 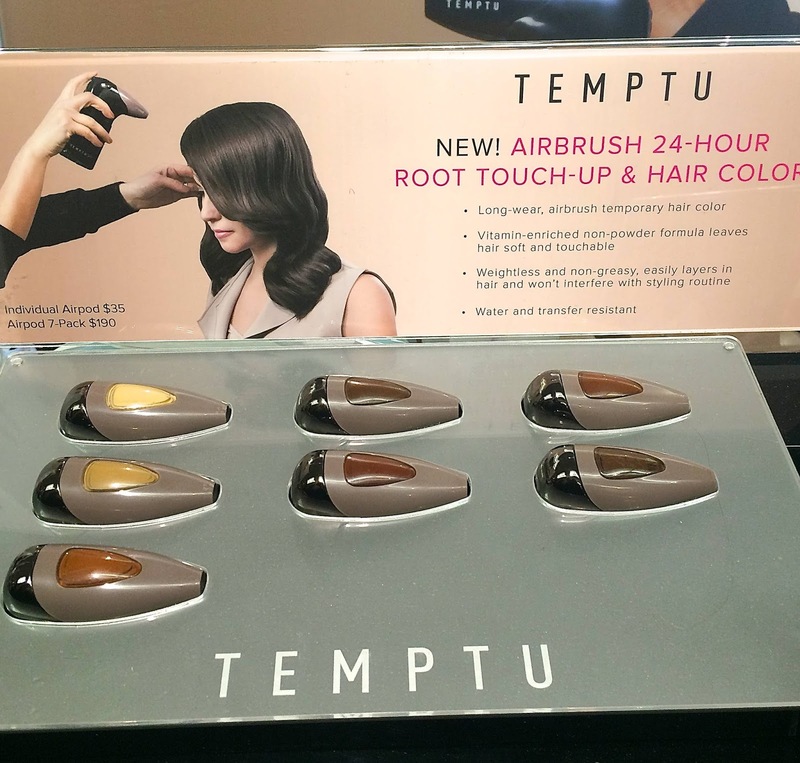 I am also excited about TEMPTU's Airbrush 24-hour Root Touch-Up & Hair Color, offering long-wear airbrush temporary hair color. 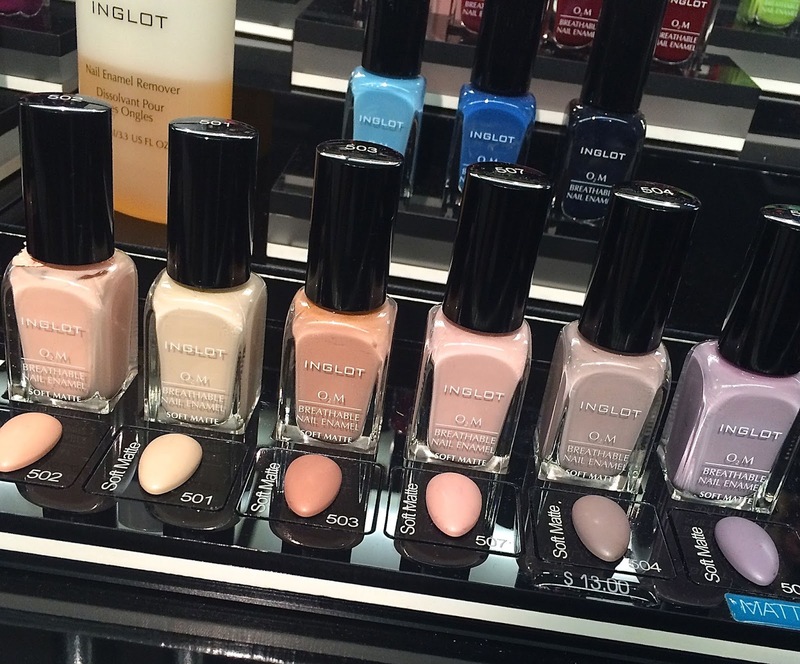 New from INGLOT: O2M Breathable Nail Enamel SOFT MATTE, AMC Brow Liner Gel to fill, smooth and shape the eyebrows, and HD Lip Tint Matte, providing full coverage and a silky matte finish available in 10 colors from subtle nudes to classic reds and darker statement shades. 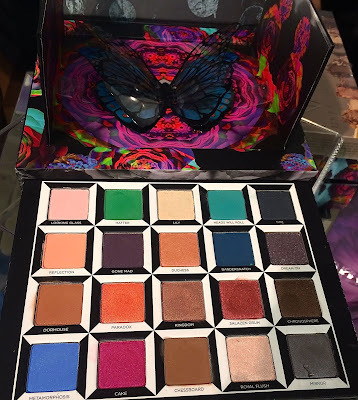 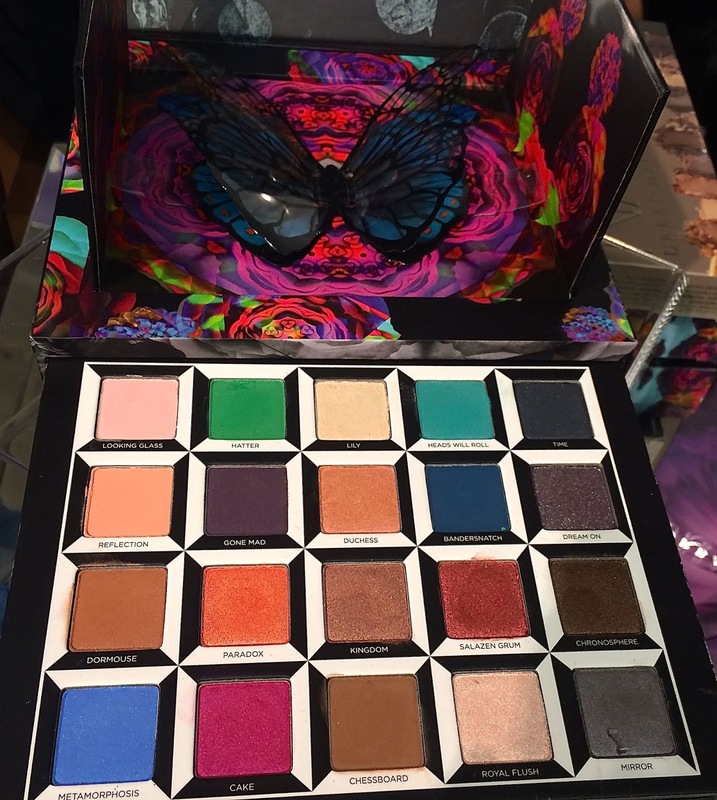 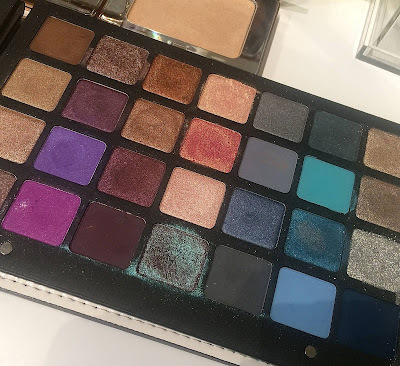 Urban Decay Alice Through the Looking Glass Eye Shadow Palette in 20 shades, inspired by the Disney movie and its characters including Alice, Mad Hatter, Mirana (the White Queen), Iracebeth (the Red Queen) and Time (creature that is part human, part clock). 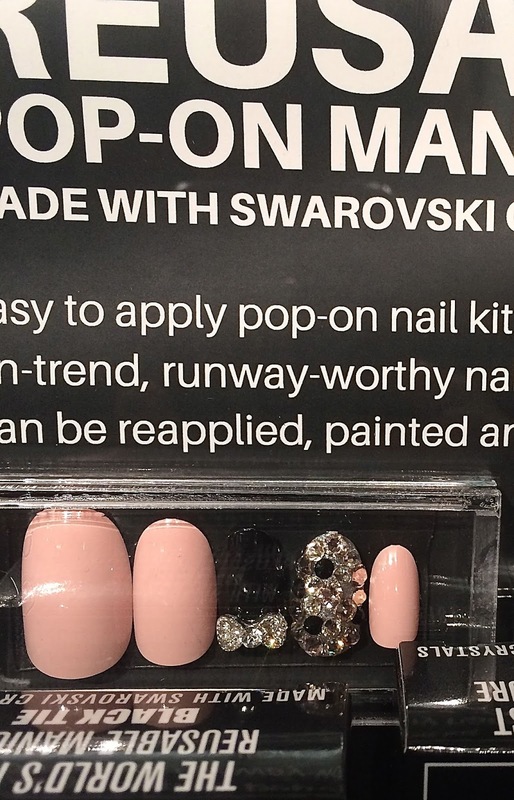 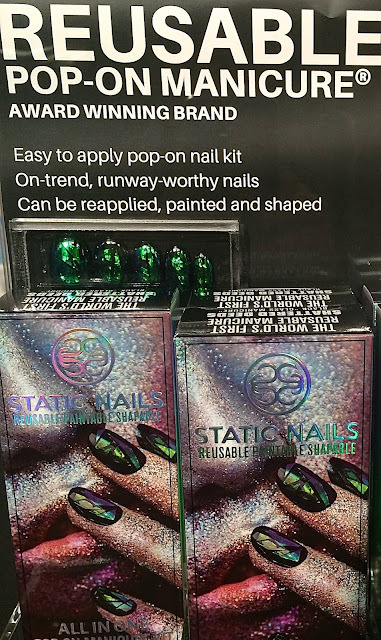 I couldn't leave the show without getting this "Glass Manicure" pop-on manicure kit ($12 at the show, normally retailing for $16 at sephora.com) from Static Nails that look like shattered glass. They can be worn for 18 days straight or reapplied up to six separate times for shorter wears. The kit comes with 24 nails in 12 universal sizes, luxury nail pouch, non-damaging nail glue, file and buffer. Static Nails Manicure Kit in "Clean Slate" - a charcoal/gun metal shade with Swarovski crystals. These were being sold at the show for $26, and retail for $38 at sephora.com. 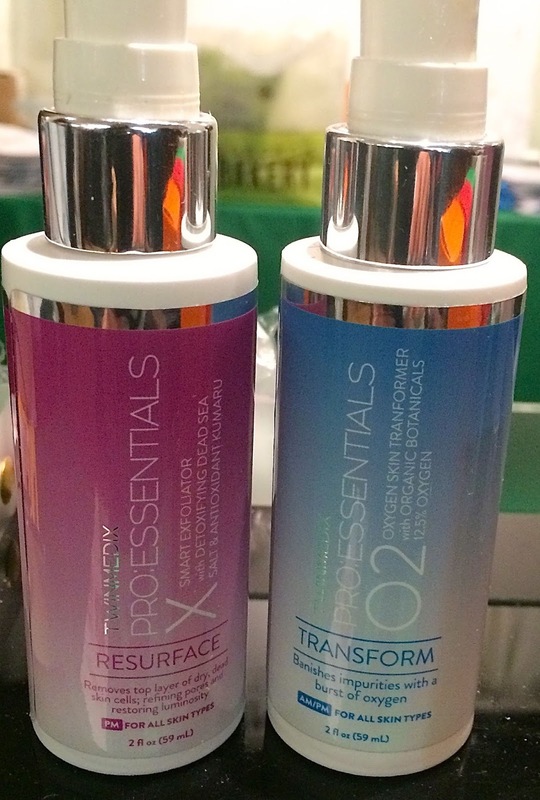 So excited to try TWINMEDIX products, including the PRO: ESSENTIALS 02 Oxygen Skin Transformer foam cleanser is rich in antioxidants, and cleanses deep into pores while removing dirt. 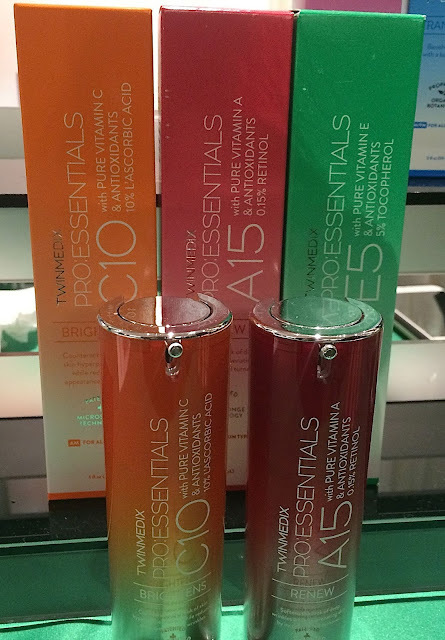 PRO: ESSENTIALS C10 with Pure Vitamin C & Antioxidants reduces the appearance of discoloration and dark spots over time. 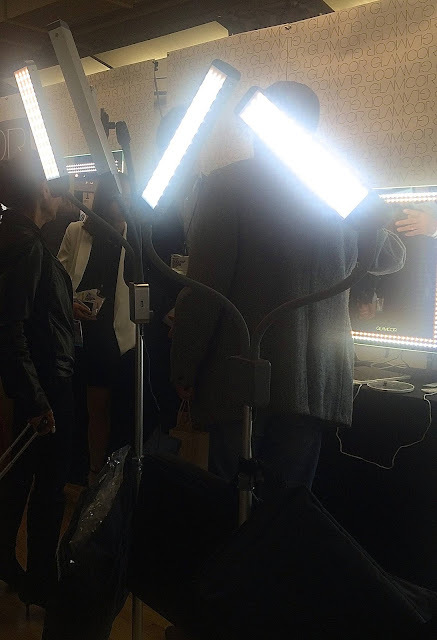 Glamcor introduced their newest portable lighting systems, including the new Multimedia Extreme with Selfie Function, with preset color temperature and brightness. 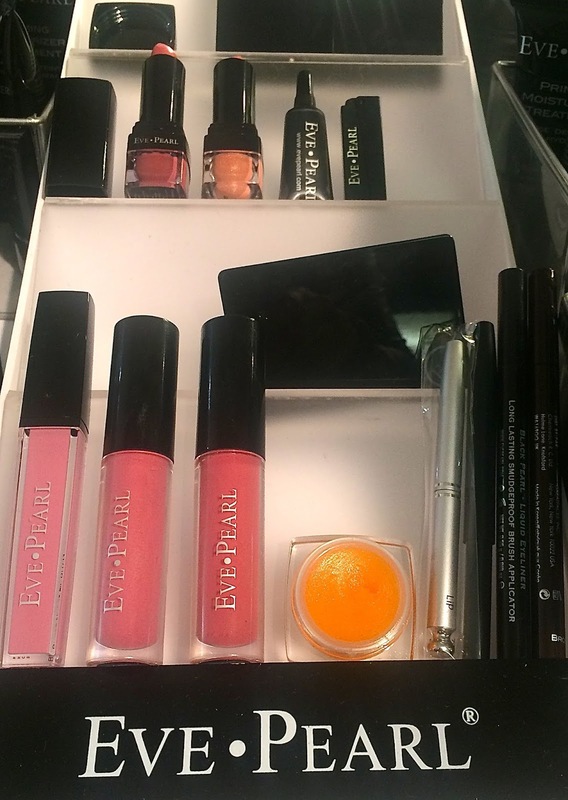 Added accessories include phone, tablet, camera, or mirror clips for mounting your iPhone, iPad, camera or mirror. 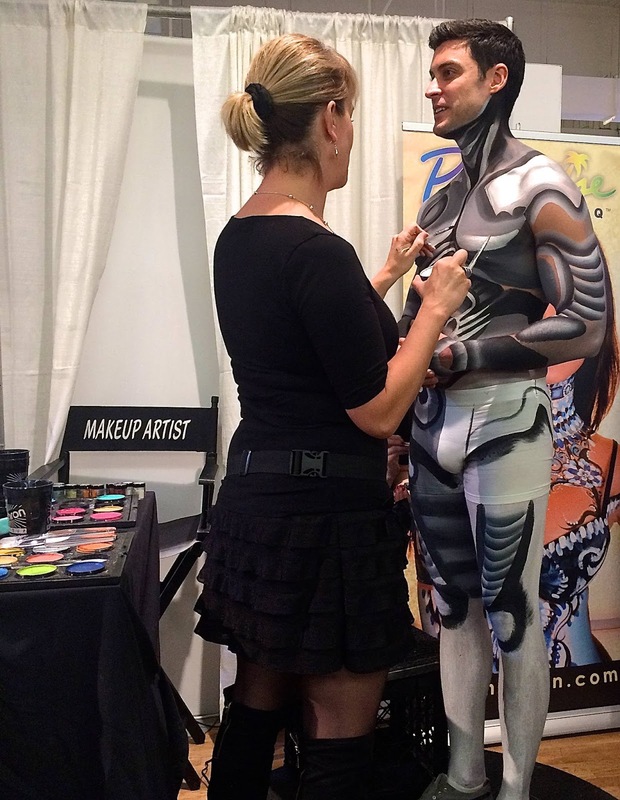 Matt from Glamcor was just about my size when on his knees - too funny! 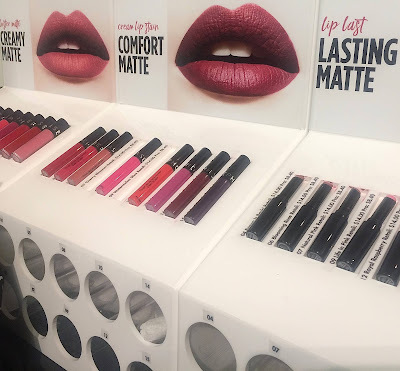 New from Sephora: luster matte Creamy Matte, creamy lip matte Comfort Matte, and lip last Lasting matte lip color, light coverage PRO Featherweight, medium coverage PRO Airbrush and full coverage brushes PRO Press brushes. 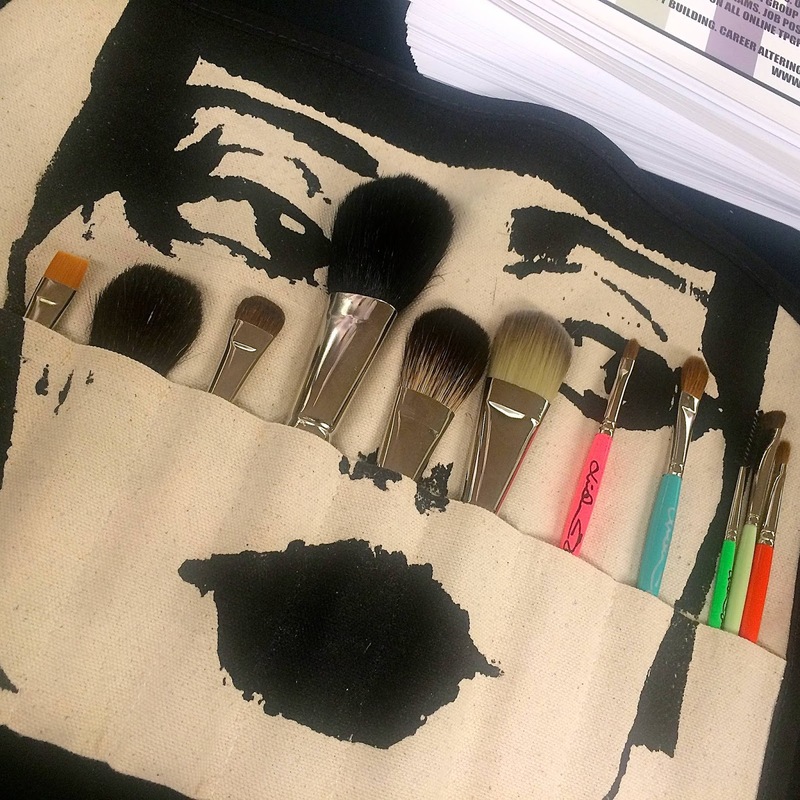 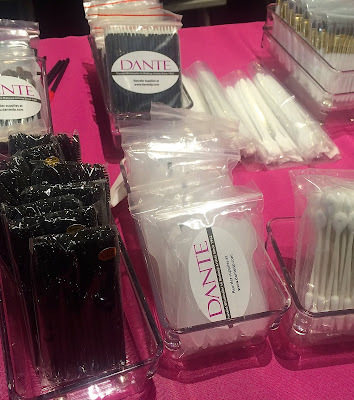 Dante disposable products including mascara brushes, spatulas, cotton swabs, precision liner applicators, dual brush/foam applicators and more. 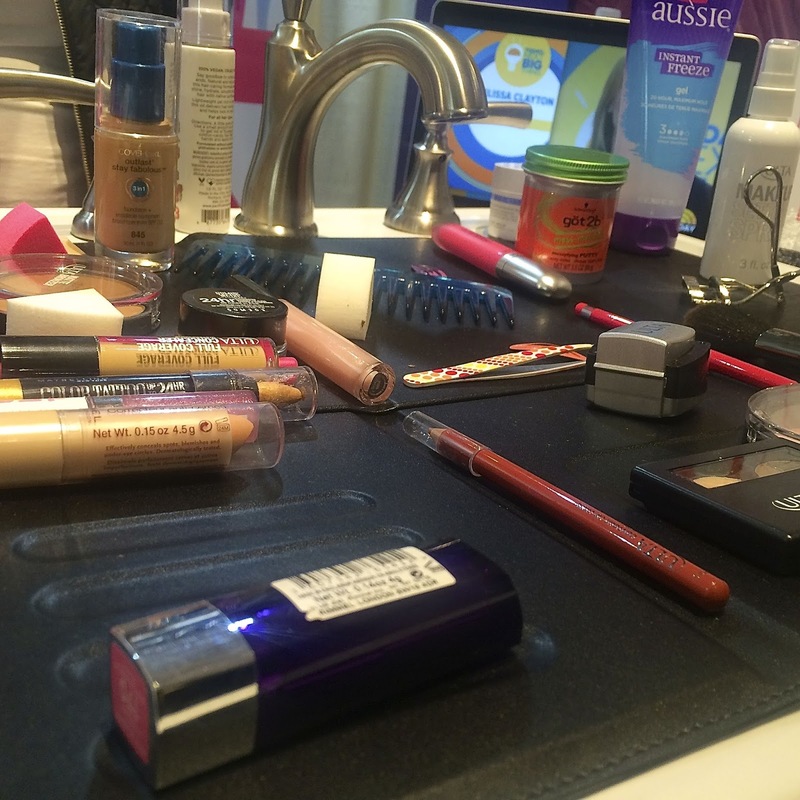 The Matte - allows you to create your own beauty counter over your bathroom sink and folds up into the size of an iPad case. 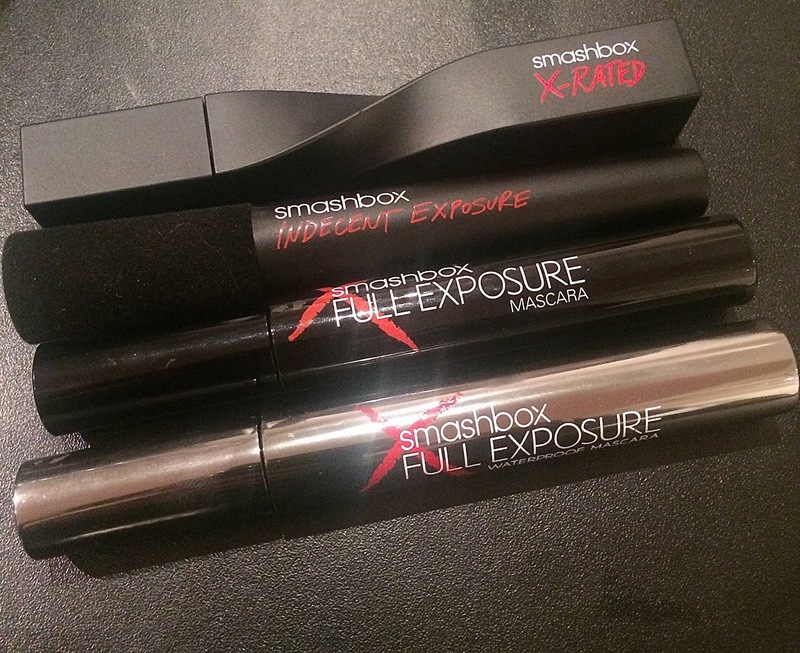 Holds up to 2 lbs of makeup and perfect for home or travel use. 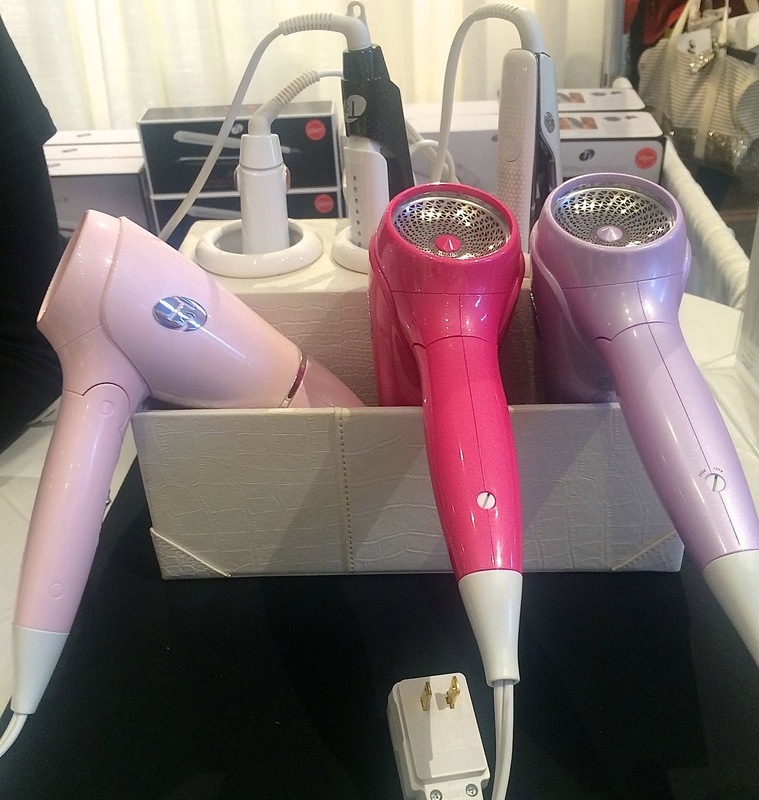 T3 show specials up to 50% off, featuring the Featherweight Compact folding dryer in limited edition colors made exclusively for The Makeup Show NYC, usually $150 with a special show price of $80. 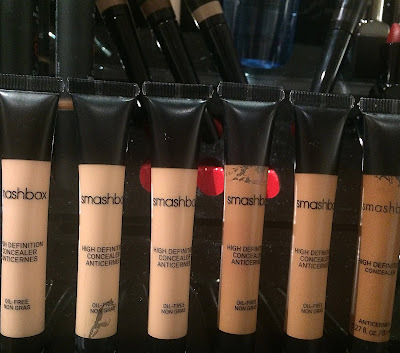 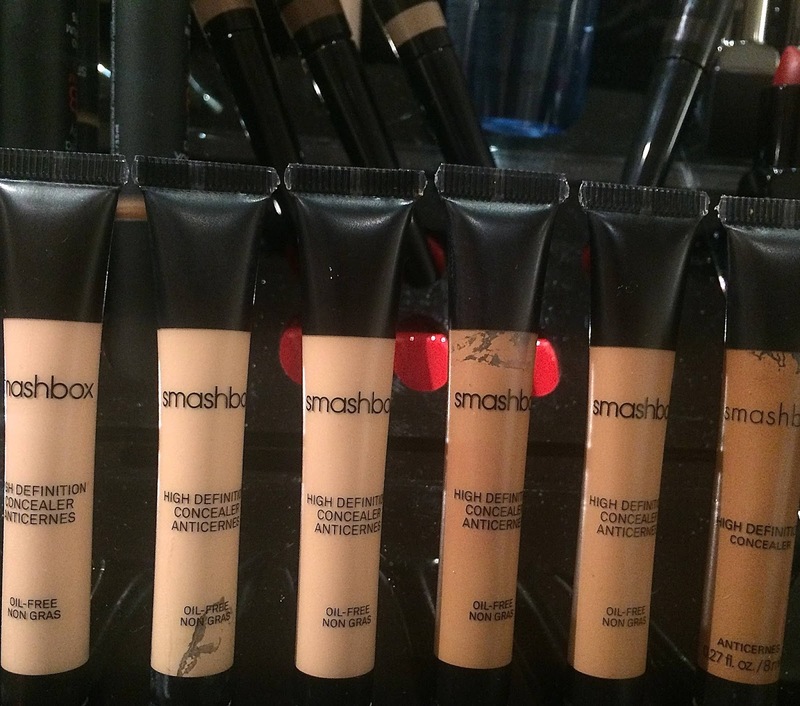 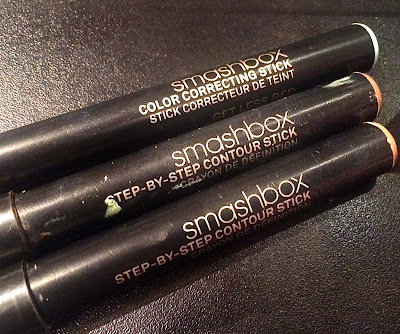 Always excited to see what's new at Smashbox, including Step-By-Step Contour Sticks, High Definition Concealer and Indecent Exposure and Full Exposure Mascaras.